1 Peter 2:21 "For you have been called for this purpose, since Christ also suffered for you, leaving you an example for you to follow in His steps, 22 who committed no sin, nor was any deceit found in His mouth; 23 and while being reviled, He did not revile in return; while suffering, He uttered no threats, but kept entrusting Himself to Him who judges righteously; 24 and He Himself bore our sins in His body on the cross, so that we might die to sin and live to righteousness; for by His wounds you were healed. 25 For you were continually straying like sheep, but now you have returned to the Shepherd and Guardian of your souls." Whenever a person senses the calling of God upon their life - things are never the same ever again. Whenever God's calling (in salvation or area of service) comes, urgency ties together the circumstances, people and one's own interior state of heart. Whenever God places His Divine urgency upon your life to act - we call such an urgency: “God’s calling”. Such a description befits the description of Christian salvation and the life that follows from it. The call to the Christian life includes activities and attitudes that cannot be done apart from Jesus Christ. In this post, we will consider how trusting God and entrusting oneself to Him are central to heeding the call to follow Him. Peter's first epistle has incredible theological statements about Jesus Christ sprinkled throughout its contents (see 1 Peter 1:18; 2:21-25; 3:18-21; 4:1 and 5:4). We read in 1 Peter 2:21 of how the Christian life is a calling to follow in the steps of Jesus. I'm certain Peter never forgot the first time Jesus came to Him and commanded: "follow me" (see Matthew 4:19; John 1:41-43). 1 Peter 2:21-25 summarizes how Jesus provided an example of following the will of the Father by both trusting and entrusting Himself to His authority. As we observe Jesus' willingness to follow, we in turn can see the need to follow Him. When we begin to follow God, we begin by trust. One of the simplest definitions of faith is that of trust. The 11th century theologian Anselm of Canterbury describes the Christian-life as being about - "faith seeking understanding". Whenever a person trusts God - they do so without possessing a comprehensive understanding of where they're heading or the consequences. Much like the little child in the backseat on a trip, we travel through this life. The Gospel calls sinners to looking to the Father and the Lord Jesus Christ (see John 17:3). 1 John 2:5-6 reminds us: "but whoever keeps His word, in him the love of God has truly been perfected. By this we know that we are in Him: 6 the one who says he abides in Him ought himself to walk in the same manner as He walked." We read in 1 Peter 2:22-24 "who committed no sin, nor was any deceit found in His mouth; 23 and while being reviled, He did not revile in return; while suffering, He uttered no threats, but kept entrusting Himself to Him who judges righteously; 24 and He Himself bore our sins in His body on the cross, so that we might die to sin and live to righteousness; for by His wounds you were healed." Whenever we heed the call to follow the Lord in the Christian life, we must not only take that first step of trust - but also continue to "entrust" our lives to Him. The Greek verb translated "entrust" is the same word used elsewhere in the New Testament that speaks of something being "handed over" to the care of others (see 1 Corinthians 11:23; 15:1-3). Jesus literally "handed-over" the reins of his life to the Father. This daily, moment-by-moment resolve involves deciding between "trusting God" versus "trusting oneself". Jesus alone did this perfectly. Each time we exercise trust in God, we are building a track record of "entrusting God". The idea of "entrusting one's soul" is equivalent to the idea of "faithfulness". Much like the odometer in a car that measures how many miles the car has been driven, "faithfulness" or "entrusting" describes how long and often one has said "I trust God" rather than "I trust myself more than God". 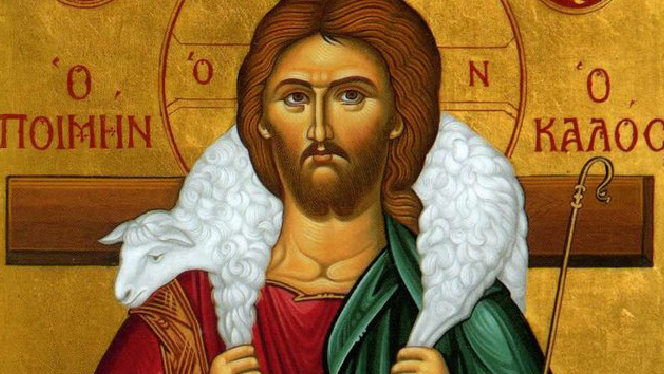 Peter closes this section by noting in 1 Peter 2:25 "For you were continually straying like sheep, but now you have returned to the Shepherd and Guardian of your souls." This describes what ought to be the current state of the Christian. We are ever turning, looking and giving our attention to the Lord Jesus Christ. Such thoughts reminds us of Psalm 23 or Psalm 121, which both describe the believer as a sheep looking to the Great Shepherd of their souls. Would we heed the call the follow Jesus by trusting and entrusting our souls to Him.